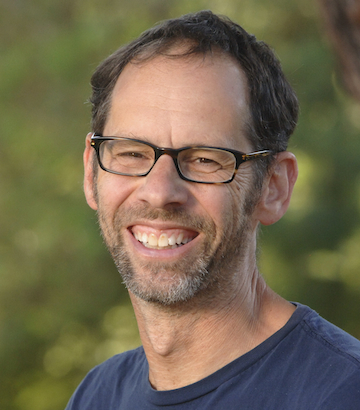 Dan Jurafsky is professor and chair of linguistics and professor of computer science at Stanford University. He is a computational linguist, with special interests in the automatic extraction of meaning from speech and text in English and Chinese, and most recently, on applying computational linguistics to the behavioral and social sciences. Dan is a 2002 MacArthur Fellowship recipient and is also interested in the linguistics of food; his latest book is The Language of Food: A Linguist Reads the Menu. Lecture by Dan Jurafsky, Fillmore Professor, at the Charles M. Harper Center, room 104, at 6pm. Reception to follow at 7:30pm at the Cloister Club, in Ida Noyes Hall. Automatically extracting social meaning from language is one of the most exciting challenges in computational linguistics. In this talk I describe the use of computational linguistics to help extract and understand social meaning from texts of different sorts. I'll show how language can signal the crucial role that interdisciplinarity plays in the history of scientific innovation, study the way economic, social, and psychological variables are reflected in the language we use to talk about food, and show what the language of online communities can tell us about the nature of linguistic innovation across the lifespan.